In this Community Spotlight I would like to introduce you to a well-loved organization, PFLAG. PFLAG stand for Parents, Families and Friends of Lesbians & Gays. It’s a wonderful organization that works to promote the health and well-being of LGBTQ people and their family and friends through support, education and advocacy. The organization now has over 200,000 members with over 400 affiliates across the country, including San Diego. While LGBTQ people are becoming more visible and more acceptable in some ways, there are still many LGBTQ kids that are not accepted by their parents and there are many parents that are just not sure how to support their child when they come out. PFLAG serves as a safe place for LGBTQ people and their family and friends to navigate through what they are feeling and get support from others that have gone through what they are experiencing. 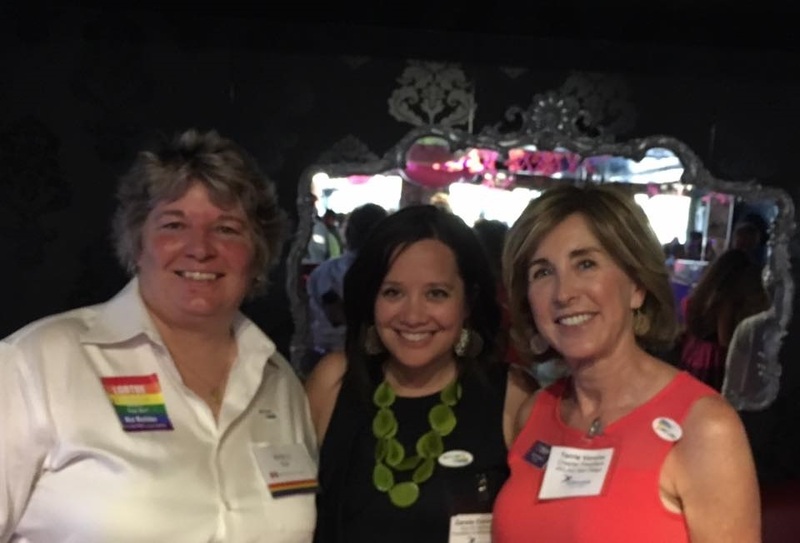 We are thrilled that we were be able to raise funds for PFLAG San Diego at our LGBT Pride Business Mixer that was co-sponsored by Bair Financial Planning, Diversity Supplier Alliance, San Diego LGBT Visitors Center and Ellevate. These funds will help fund the PFLAG college scholarship program that will benefit LGBTQ kids that need financial support to attend College and further their education. A notable PFLAG scholarship recipient is Todd Gloria. If that name is familiar to you it is because Todd is a San Diego native and was a popular San Diego City Councilmember as well as interim Mayor of San Diego, and is now a California State Assembly Member. Thanks to everyone that attended the event that will help support additional future leaders. By meeting people where they are and collaborating with others, PFLAG realizes its vision through: Support for families, allies and people who are LGBTQ; Education for themselves and others about the unique issues and challenges facing people who are LGBTQ; Advocacy in their communities to change attitudes and create policies and laws that achieve full equality for people who are LGBTQ. I have personally been associated with the San Diego chapter for many years since being supporters of my first Gay Day in South Bay that is now known as South Bay Pride Art & Music Festival as well our Family Matters picnics and events. I am thrilled that they are still strong and supporting families with whatever needs they have and meet them where they are on their journey. Jeanne Manford is PFLAG’s national founder. In 1973, Jeanne held the first meeting of parents who wished to visibly support their LGBTQ children in Greenwich Village. The San Diego chapter was founded in 1981 by 25 parents, one of them being Lillian Rubin. Shortly after her son came out, Lillian and her husband Hy learned about PFLAG, an organization comprised primarily of parents, families, friends and allies of LGBTQ individuals. The two attended a meeting in Los Angeles, and are said to have become "hooked on PFLAG” and wanted to bring a Chapter to San Diego. Lilian was a fierce champion for the LGBTQ community and died in her sleep at midnight on Sunday, Dec. 4, 2011, she was 95. The Lambda Archives of San Diego reports that the first PFLAG meeting held in San Diego took place on Dec. 12, 1982. The local chapter has grown from a handful of members to over 250 and holding monthly meetings in 5 regions of San Diego County, all are open and welcoming to new members. PFLAG members recall Lillian proudly marching in San Diego's annual LGBT Pride Parade on many occasions and her regular speaking engagements on LGBT issues not only to the media, but at various educational and civic institutions throughout Southern California. PFLAG San Diego members continue her activism in school districts, at community events, and with political causes that affect our LGBTQ loved ones. 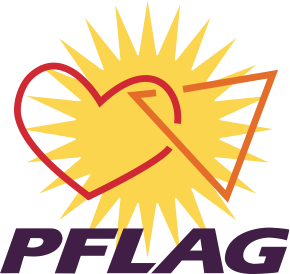 PFLAG is always one of the loudest cheered for contingents in parades and public events that they attend. They are able to reach the community and parents in a special way that has helped countless families stay together and support their LGBTQ family members. PFLAG members feel that through open and honest communication they can help turn hearts and minds to make the world a better place for our loved ones and people everywhere regardless of their sexual orientation or gender expression. To find the date, time and place of a meeting near you or more information about PFLAG check out their website at www.pflag.com. If you wish to make a donation to PFLAG in memory of Rubin may send a check to: PFLAG San Diego, P.O. 82762, San Diego, CA 92138. Note "Lillian Rubin" in the memo line.